Professor of Political Science Dr. Jason Neidleman is set to be a guest lecturer at Ghent University in Belgium this April. The University of La Verne Communications Department has been honored by the Broadcast Education Association for two video productions. Founder and President of the Frederick Douglass Family Foundation, Kenneth B. Morris, Jr. will present a poignant human rights lecture titled “History, Human Rights and the Power of One” on Thursday, Feb. 13 in the Ann & Steve Morgan Auditorium at 4:00 p.m. 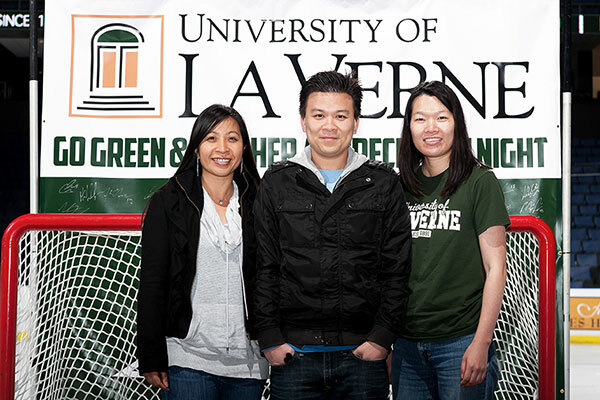 Individuals and groups who exemplify the University of La Verne’s core values will be honored at this year’s inaugural Spirit of La Verne awards, to take place at a special ceremony on Tuesday, April 29, 2014 from 5 – 7:30 p.m. at the La Verne Church of the Brethren. University of La Verne’s community will take part in a global movement that aims to promote an end to violence against women and girls on Friday, February 14, 2014 through the One Billion Rising Campaign: Journey to Justice. The event, which gives survivors and their supporters an opportunity to gather together and demand justice, is hosted in conjunction with One in Three Club, House of Ruth, and Project Sister Family Services. History is seen through the eyes of visitors to Traer Scott’s “Natural History” photography exhibition at the University of La Verne Irene Carlson Gallery of Photography. Transforming a piece of steel or a sheet of paper into art is child’s play for Los Angeles-based Artist Hacer, whose University of La Verne exhibit, Shape Form Space, will run February 3 through March 6, 2014. The exhibit is free and open to the public.